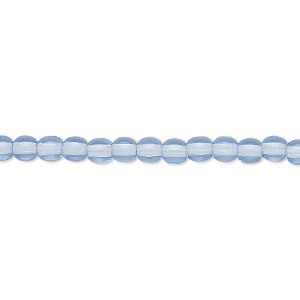 Bead, Czech glass druk, transparent sapphire blue, 8mm round. Sold per 15-1/2" to 16" strand. Item Number: H20-1305MD Have a question about this item? Druk beads are round glass beads imported directly from the Czech Republic. Size and shape may vary slightly and color may vary from dye lot to dye lot. Items are made with solid color glass, which means the base color of the glass is saturated throughout the object and will not fade or rub off over time. 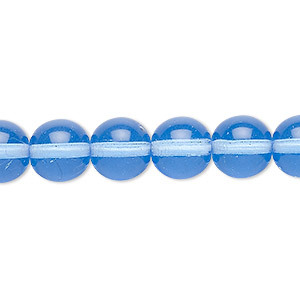 Bead, Czech glass druk, transparent sapphire blue, 6mm round. Sold per 15-1/2" to 16" strand. 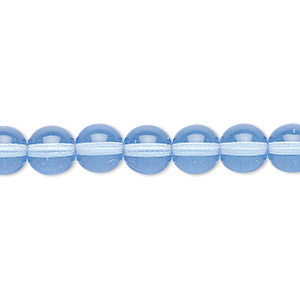 Bead, Czech glass druk, transparent sapphire blue, 4mm round with 0.8-1mm hole. Sold per 15-1/2" to 16" strand. 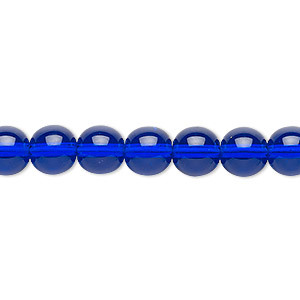 Bead, Czech glass druk, transparent sapphire blue, 10mm round. Sold per 15-1/2" to 16" strand. 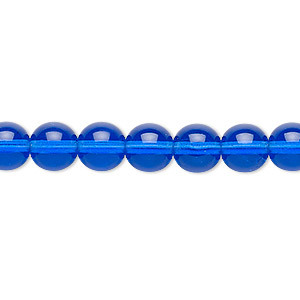 Bead, Czech glass druk, transparent cobalt, 8mm round. Sold per 15-1/2" to 16" strand. 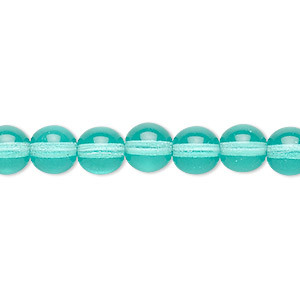 Bead, Czech glass druk, transparent light aqua, 8mm round. Sold per 15-1/2" to 16" strand. 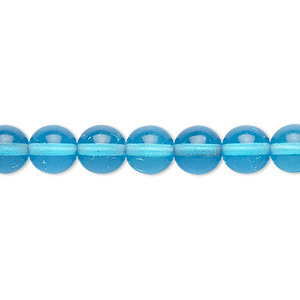 Bead, Czech glass druk, transparent turquoise blue, 8mm round. Sold per 15-1/2" to 16" strand. 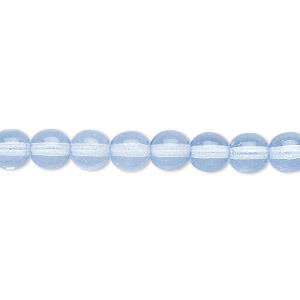 Bead, Czech glass druk, transparent light cobalt, 8mm round. Sold per 15-1/2" to 16" strand. 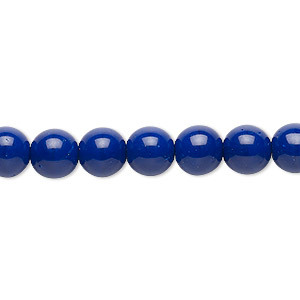 Bead, Czech glass druk, opaque dark blue, 8mm round. Sold per 15-1/2" to 16" strand. 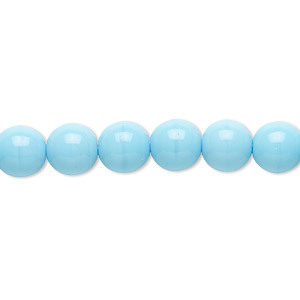 Bead, Czech glass druk, opaque turquoise blue, 8mm round. Sold per 15-1/2" to 16" strand. 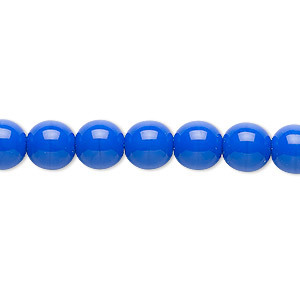 Bead, Czech glass druk, opaque blue, 8mm round. Sold per 15-1/2" to 16" strand.